When an outbreak of food poisoning hits, we trace our culinary steps backwards in an attempt to untangle the cause, hopefully before it can hit again. But a new sensor could radically change all that. A new paper in ACS Infectious Diseases details a new technique that combines two existing food contamination detection methods into a single, fast diagnostic test. The technique uses a combination of magnetic resonance and fluorescence testing to check for both high and low levels of E. coli bacteria simultaneously, without the time and lab-work of traditional culturing. The results, lead author of the paper Tuhina Banerjee told Gizmodo, start to become clear within one minute. After 15 minutes, the technique can give a confirmed test result for the presence of E. coli. Right now, the test has only been calibrated to check for E. coli. 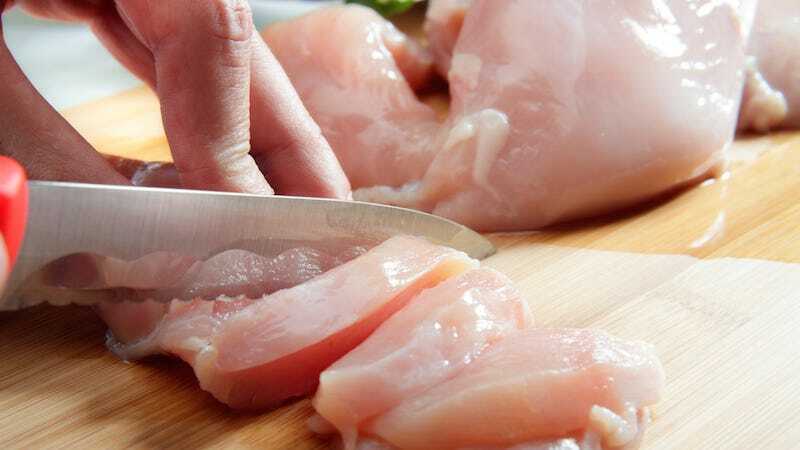 But the researchers believe that it could easily be adjusted to test for other bacteria like Salmonella, or even eventually viruses spread via other means than food. That’s still a ways to go before you can buy this technology in a store. But if the test eventually made it into widespread use—perhaps as a fast-acting, handheld food sensor—it has the potential to radically change how we deal with food poisoning outbreaks. One of the biggest problems in stopping outbreaks is timing. E coli typically takes three weeks to confirm, primarily because people don’t get sick until days after they ate the contaminated food. From there, the process moves from a doctor’s visit, to a lab, to an eventual confirmed diagnosis of the bacterial strain. By the time it’s confirmed, the food is usually gone—either because it’s all been eaten or thrown out—and can’t be tested. This means that we often never find the source of a foodborne illness. If fast-acting, handheld sensors eventually became widespread, however, there would be no need to wait weeks to trace back the source of a food-poisoning outbreak. We could move to preventative testing, and actually stop outbreaks before they happen, instead of simply tracing back the causes in the aftermath.